Home METAL NEWS	Infiltration Sign with Wormholedeath and Announce “Nuclear Strike Warning” EP Release Date! Infiltration Sign with Wormholedeath and Announce “Nuclear Strike Warning” EP Release Date! for their EP “Nuclear Strike Warning” with Wormholedeath. “Nuclear Strike Warning” EP will be out on February the 23rd 2018 via Wormholedeath / The Orchard. The pre order date is February the 9th 2018. 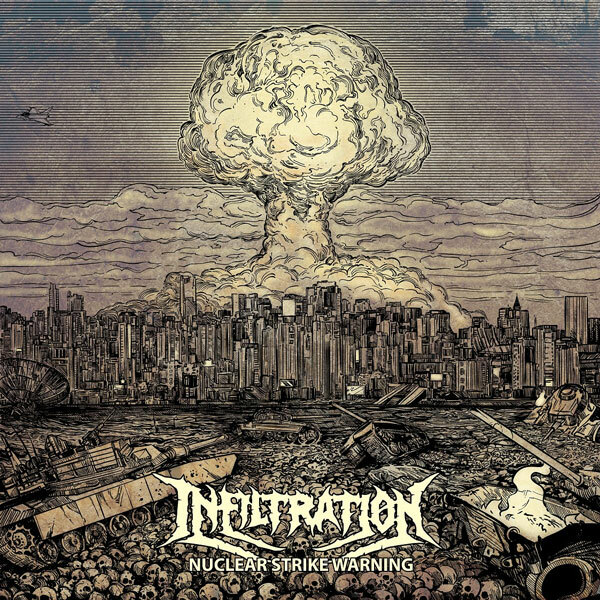 The death metal band Infiltration was formed during spring 2017, upon remains of then dysfunctional band Free at last. It was rather a surge of frustration and anger due to FAL disbanding, that caused the formation of the band, than the intentional purpose. The idea to start a new band originally belonged to Andrew, the bass player (ex-Free at Last, ex-Svartby, Stormland), supported by the guitarist Eugene (ex-Free at Last, ex-Svartby). The two had a considerable experience, so they wasted no time in vain, which resulted in only a two months’ period from initial talks to the actual studio work. The duo was later joined by Paul, the vocalist and Alex the drummer. Each one of the band members is considered to be a pretty much legendary figure in the underground metal scene of Saint-Petersburg. Alex, the drummer (of the Hellbomb fame) has done incredible amount of recordings, working with such bands as Katalepsy, Perimeter, Tesla Machine, to name a few, also he was fairly enthusiastic about participating in this new band. It would take a lot of time talking about Paul, but basically if we were to describe this musician in a laconic yet succinct manner – he is a Death Metal. Apart from the powerful line up, the debut record features the guest appearances from to legendary musicians as well, these are: Vitaly Abramov of Narada fame and Sergey “Bomi” of Buicide fame, who provided their talents to this explosive sound assault of a debut record! Also it must be noted that the entire process of recording was done in a fairly short time, in order to capture the vibe of the material without losing a bit in a quality of the delivery! Recorded at Redneck studio, by Nikita – sound engineer, produced by Andrew and Eugene. The sound assault performed by the Infiltration could be described as mixture of Napalm Death ferocity, with infectious grooves by the likes of Six Feet Under and Bolt Thrower. This is a 100% Death Metal. From December of 2017 Infiltration becomes a part of WormHoleDeath label family! We are Infiltration, ready to share our music with everyone! Welcome! JIZZY PEARL OF LOVE/HATE to release NEW ALBUM ‘All You Need Is Soul’ on May 11, 2018! 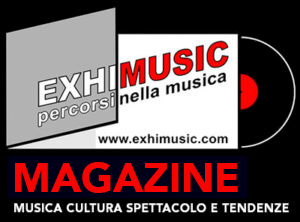 Oggi è Venerdi 26 Aprile 2019 – Sono le ore 04:22.